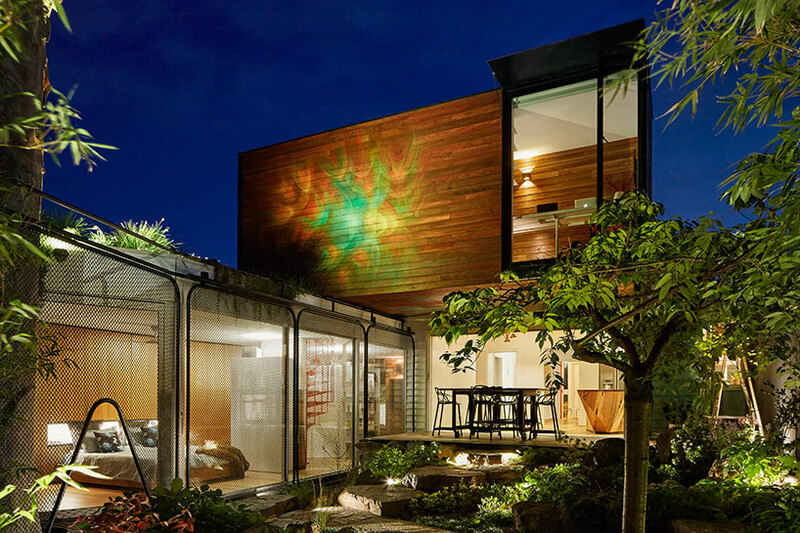 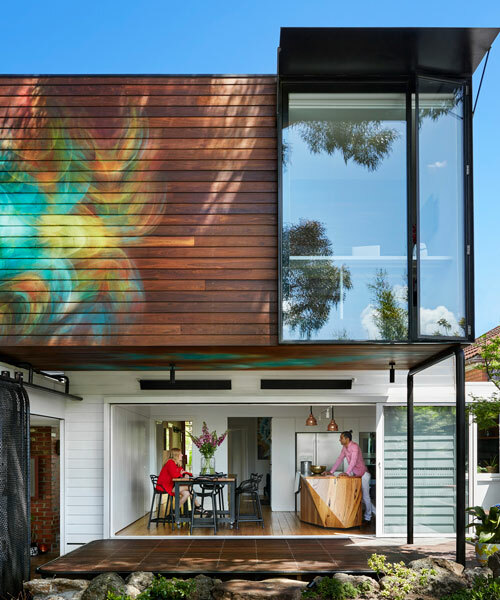 austin maynard architects has completed ‘kiah house’ in melbourne, australia. 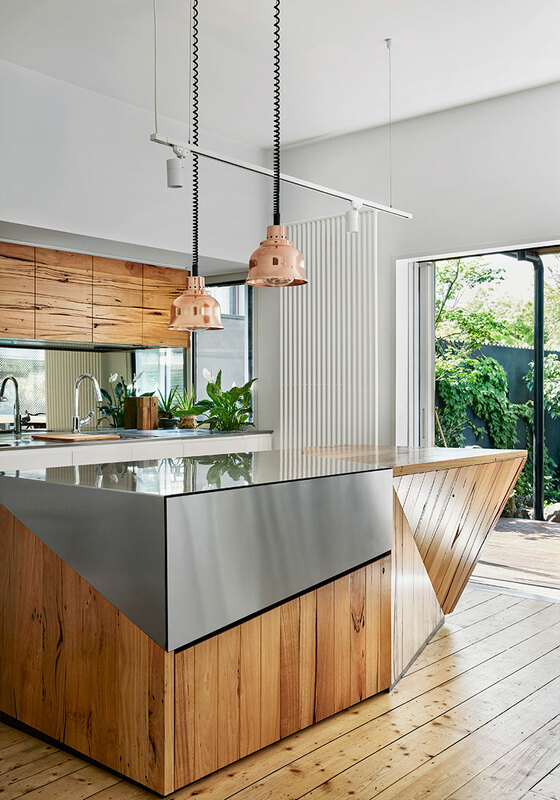 the project saw an original victorian-era house, built in 1927, respectfully restored and updated. 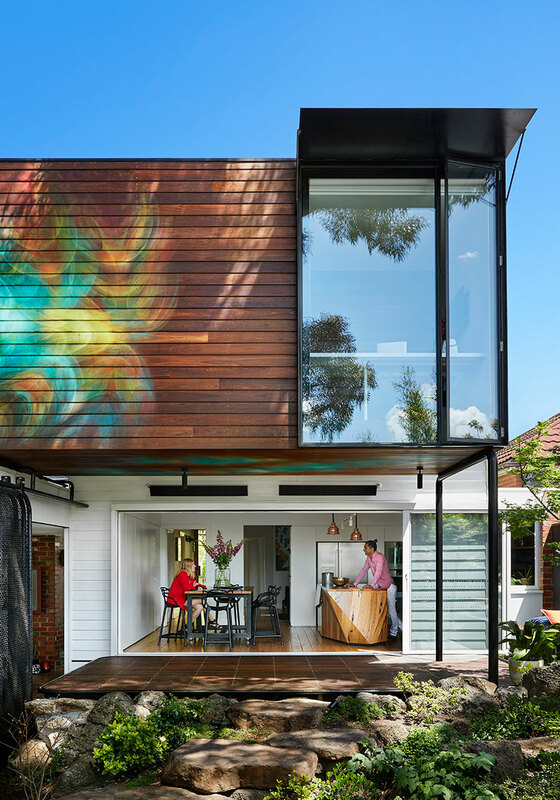 the design focuses on the concept of creating a ‘sanctuary’ and ‘home-office’ for the family while integrating outdoor areas with the inside of the home. 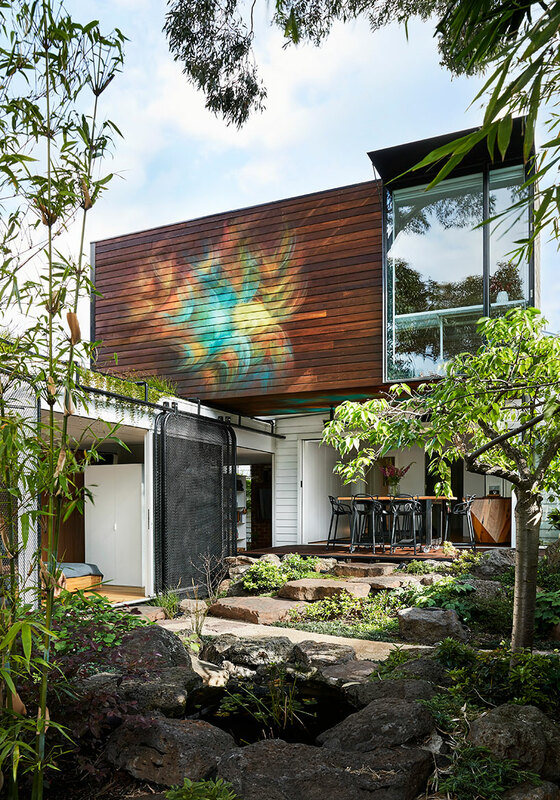 influenced by japanese gardens and buddhist retreats, the design ensures solitude and privacy. 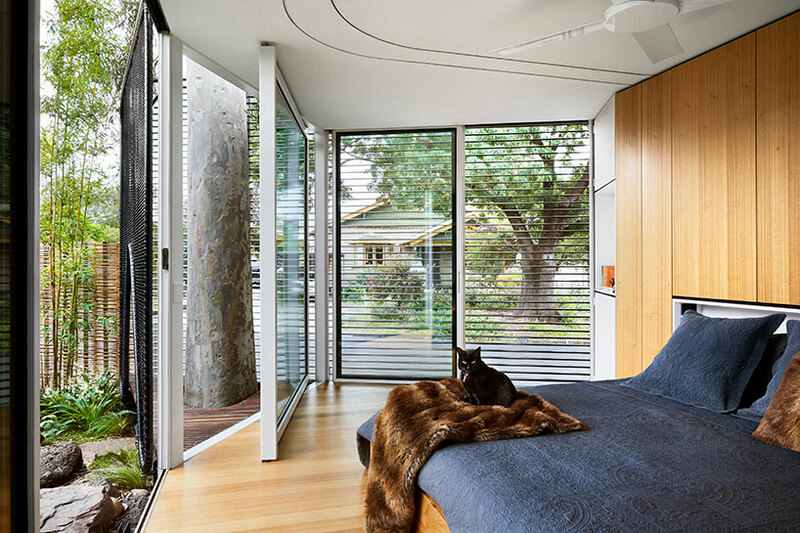 the master bedroom ‘haven’ has a dedicated buddhist prayer space and opens up to the garden and ponds via sliding double-glazed glass panels, blurring the lines between inside and out. 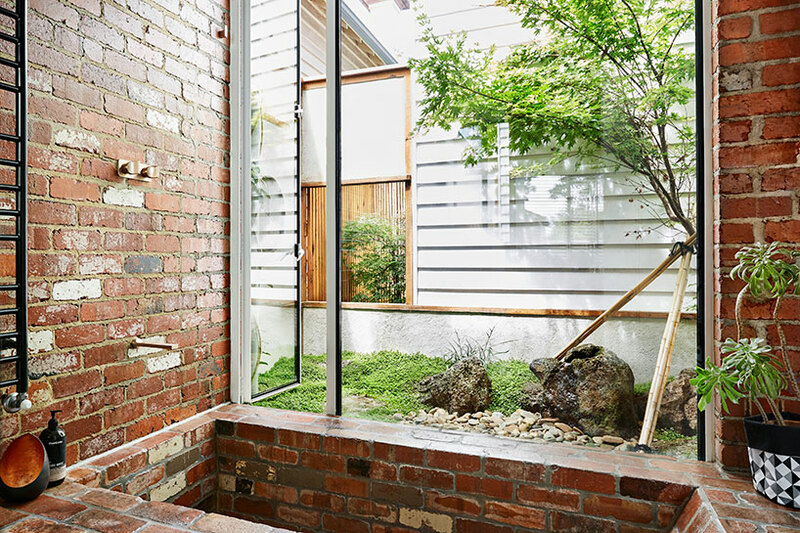 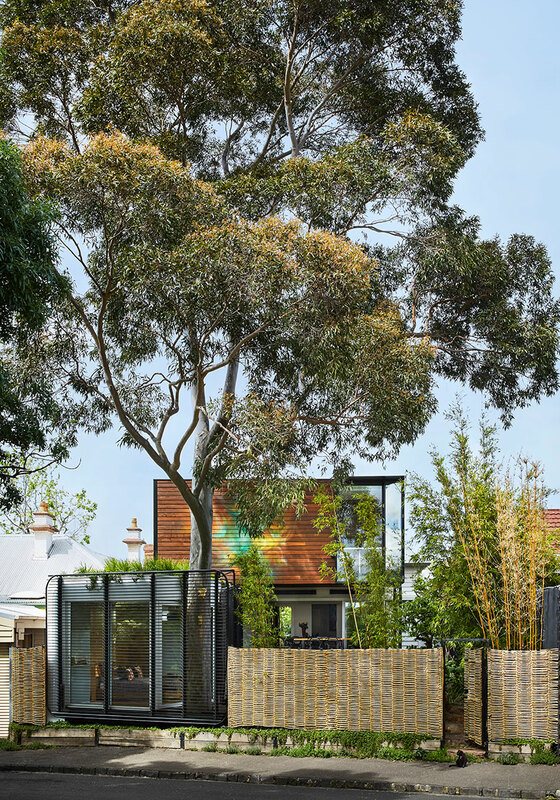 the towering lemon scented gum tree is enclosed by a small deck area, a place for the owners to sit and meditate. 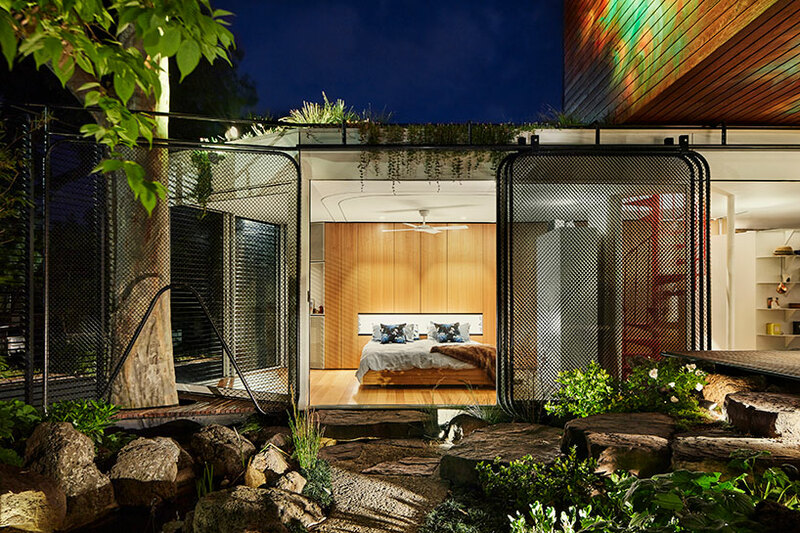 the roof of the retreat is covered in plants and edible vegetation to provide an abundance of insulation, as well as creating a buffer in the event of falling tree limbs. 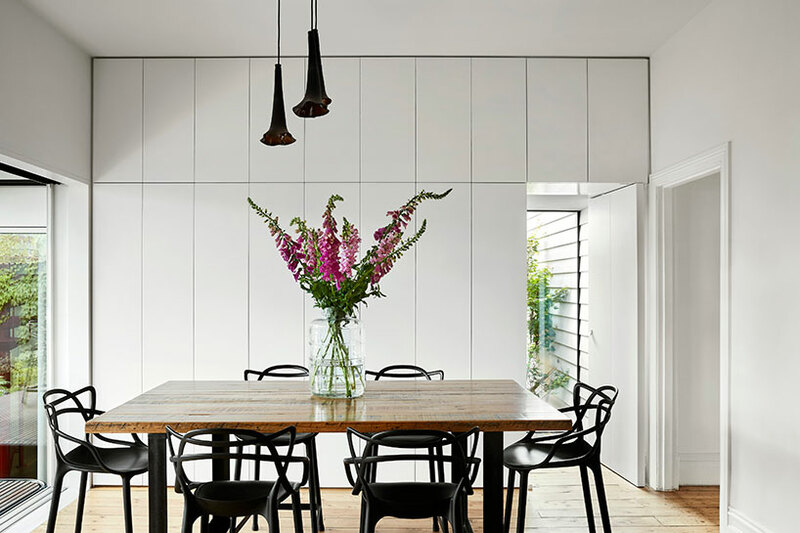 to accommodate the client’s request, austin maynard designed a private study which allows the client to work from home. 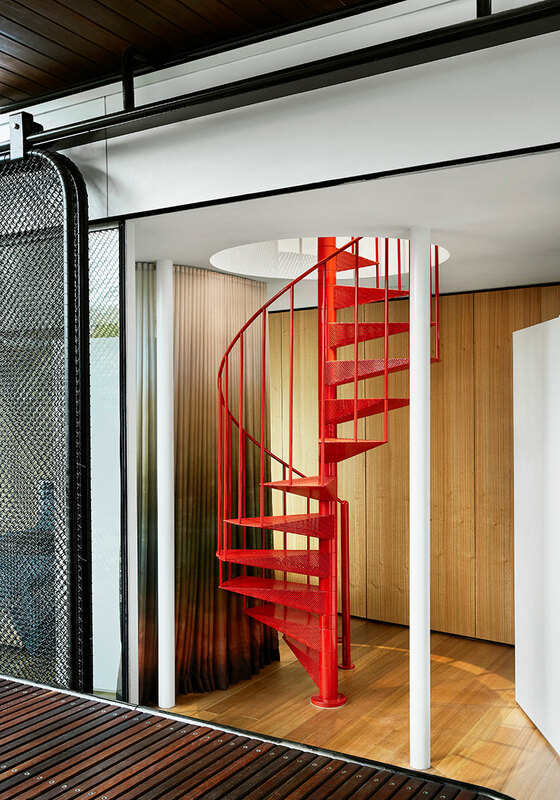 elevated above the original house and accessed via a spiral staircase, the office offers a very different spatial experience to the rest of the house. 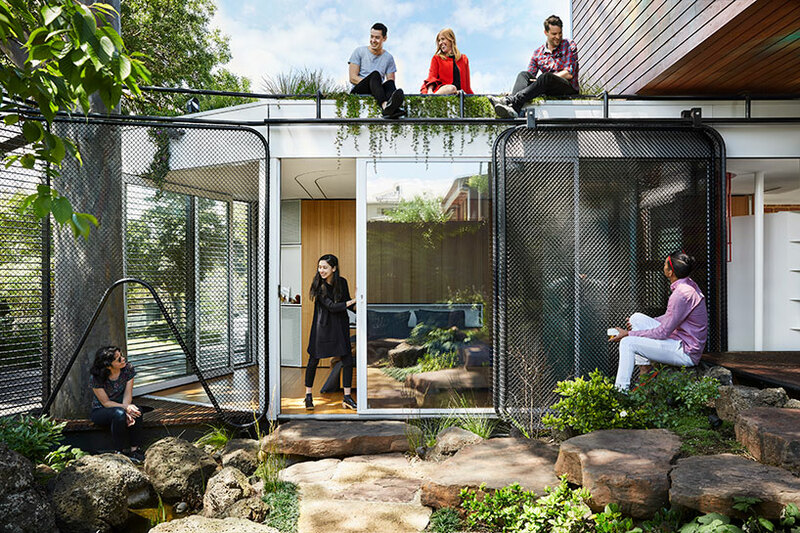 perched on a deck in the canopy of the gum tree, the workspace provides elevated views of the dense green roof of the master retreat and beyond.